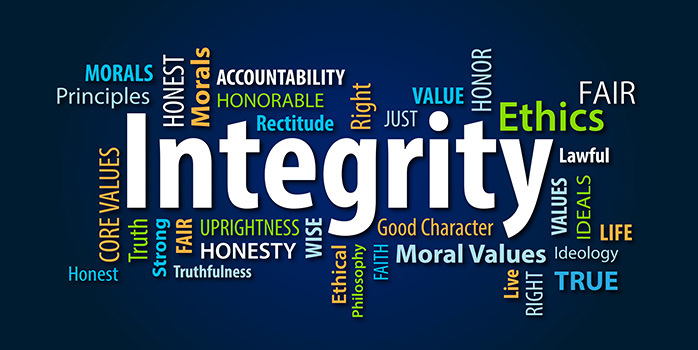 Integrity in Leadership | SAGE Analytics Inc. The honour and responsibility of exercising leadership in public office requires decision-making and prioritization to allocate scarce resources among competing demands. The casual comment of someone asking, “Where are you going?” can be quite a profound statement for municipal leaders. A common vision and homegrown strategic plan are expected to reflect the needs and desires of local citizens. Follow-up strategy questions need to be considered as well, such as “How will you get where you plan to go?” (implementation), “What resources are needed?” (budget impact), and “Who do you need on your team?” (organizational structure). Making decisions is much easier when research is done to enable informed decisions. If someone wanted to purchase a vehicle, it would be unusual and foolhardy to hastily buy the first one that caught their eye! Similarly, municipal leaders need facts that lead to evidence-based decisions. Data can be compiled in areas such as traffic impact, growth plans, capital plans, asset management and core service evaluations. When data is compiled by internal staff, external consultants or legal counsel, local officials are well-advised to weigh the facts and act in good faith. Transparency and accountability are expected in public office. This is why local councils are required to conduct meetings in public. It is expected that agendas, minutes, bylaws, financial statements, organizational performance and strategic plans will be available to the public in a timely manner. Except for specific limitations where portions of meetings are closed to the public, and matters kept in confidence as required by legislation, the public has a right to know the general business and actions of the officials they have elected to represent them. Whoever is in the ‘game’ of municipal government is expected to know the rules and abide by them. This means that officials are expected to participate in professional development and reference the Municipal Act and regulations, local bylaws, policies or other regulations to ensure legality of decisions and processes. Abiding by legislation is not optional. It is not a guidebook – it is the law! Leaders often need to be tough, make difficult decisions and say ‘no’ sometimes. It is impossible for municipal councils to please everyone all the time. Local officials can use these pointers to strengthen integrity in leadership within the challenging and complex municipal environment. This is not an exhaustive list; however, these are some key points that can be applied to accomplish good things for a municipality during a term of office.